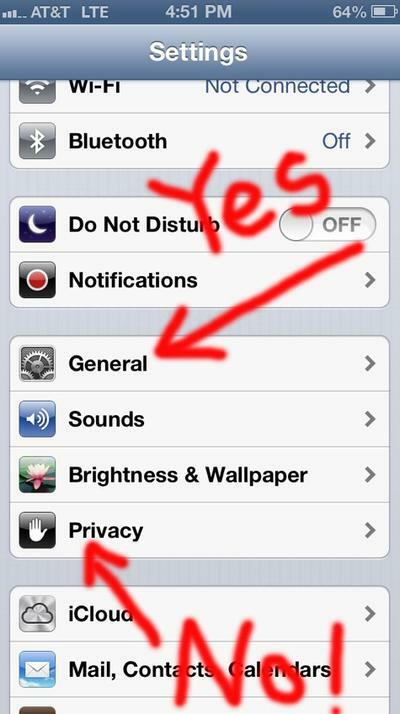 There’s another iOS 6 feature that the media is buzzing about, and this time, it has nothing to do with the Maps app. According to Business Insider, Apple put out a software update last month that quietly rolled out user-tracking for advertising purposes. If you recall, we’ve already seen a dust-up before when Apple allowed user-tracking via UDID, or Unique Device Identifier (the permanent serial number given to every iOS device). Privacy advocates were not amused, and neither was Congress, who took aim at Cupertino for allowing it. Apple wound up blocking the practice by rejecting/kicking out apps that tracked UDIDs, but advertisers vowed to find another way. Enter IFA/IDFA. It stands for “identifierForAdvertising,” a randomly assigned number used as a cross-app/publisher identifier. Under iOS 6, whenever you fire up an app that generates a call for an advertisement, the dev or publisher’s site passes along your IFA to a server, so it can dish up a targeted ad. So, say you’re in a web browser and hitting up a lot of food sites. The ad server could notice that, and calls tied to your IFA could trigger advertisements for kitchen sales or cooking apps. In truth, this isn’t exactly new — advertisers have known about for a while now — but it looks like Apple pulled the trigger when the iPhone 5 went out. Hit the switch next to “Limit Ad Tracking” to the “on” position. Critics concede that Apple made the right move by including a shut-off feature, but the part that they’re stuck on is that tracking is turned on by default, and that Apple buried this setting three menus deep in a place where most mainstream users will rarely ever go — the page with all the software and identification minutiae listed on it. That’s what is leading many pundits to suspect that the company — which is known for user-friendly, intuitive interfaces — must have intentionally hidden this. What do you think? 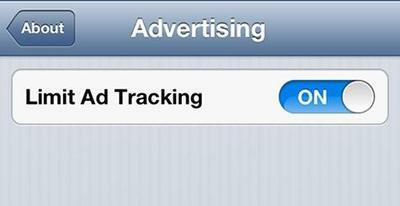 Does the ad-tracking, or the alleged attempt to conceal it, bother you? Or do you chalk it up to being a facet of modern tech life? Let us know in the comments what your take is on this.